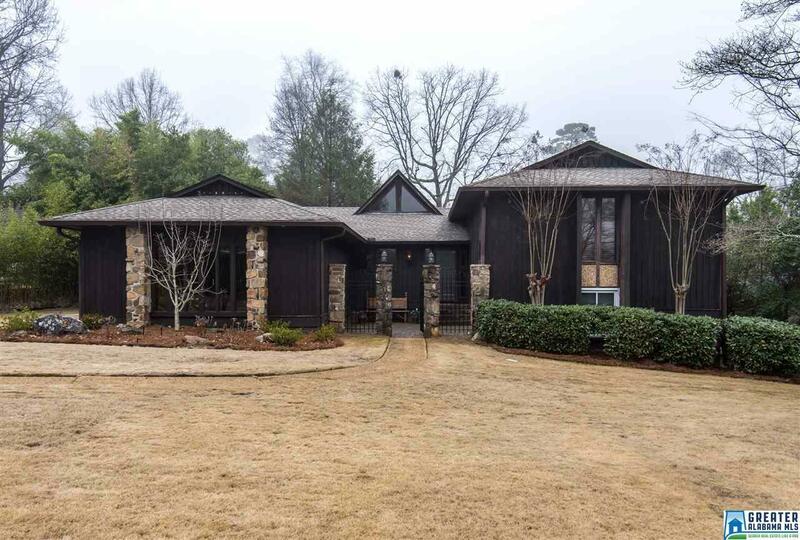 This Vestavia Hills home has great space, a huge yard and a beautifully updated family room everyone will love! The family room has a wet bar with an under counter beverage refrig, cabinets, ice maker, two built in study desks and a wall of bookcases with cabinets. This home also boasts a large living room with a vaulted ceiling and fireplace that leads out to a covered deck with a wood ceiling, ceiling fans, rotating fans and party lights! The master bedroom is spacious with a large walk in closet. The hall bath has been renovated complete with a quartz-topped double vanity. There are 2 laundry rooms , one in kitchen area , the other next to the family room. Come see!